Consulting, Marketing to Moms via Social Media, PR, Communication | MotherhoodLater.com - World’s leading website, eZine and community for midlife moms. Robin with actress Jane Seymour. 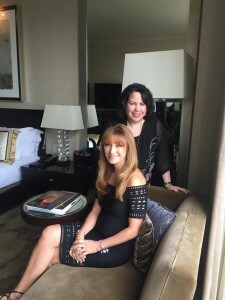 Robin Gorman Newman is a specialist in marketing communications/public relations with 20+ years experience, and has conceptualized successful special events and integrated programs. Before launching her own firm, RGN Communications in 1994, Robin served for six years as Vice President at KCSA Public Relations in NYC. 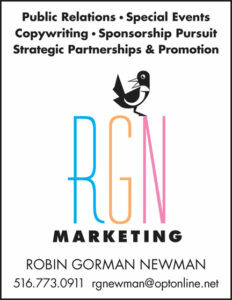 In 2016, her firm was renamed RGN Marketing, and she does considerable work in the theatrical arena, whether for a company, award or show, including creating promotional programs, pursuing sponsors, special events, generating strategic partnerships, etc. She is adept at social media, and in particular, reaching the parenting market and the demograhic of women over 40. Whether through bloggers, newsletters, communities, websites, social media, or traditional print and broadcast press, Robin is able to create custom programs that generate results. She has worked with a wide array of industries targeting moms including theater; entertainment and sporting events; children’s products; health, fitness & beauty brands; home goods; kids venues; family travel destinations; and more. She is available to write press releases and other promotional materials and offer strategic marketing, create social media campaigns and provide public relations counsel. She has conceived blogger events and led panel discussions. Motherhood Later has been featured in US NEWS AND WORLD REPORT, TIME, USA TODAY, NY TIMES, DAILY NEWS, HEALTH, NPR, REAL SIMPLE FAMILY, etc., and in books including POWER MOMS, MOM, INCORPORATED, SOME NERVE and THE 52 WEEKS. To contact Robin, email robin@motherhoodlater.com, and put CONSULTING in the subject line.